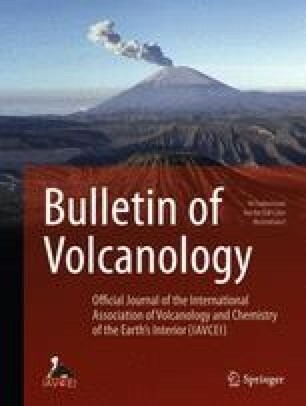 Seventeen post-Miocene strato volcanoes have been identified on Bougainville, the largest island of the Solomon Group. From north-west to south-east, these are the Tore, Balbi, Numa Numa, Billy Mitchell, Bagana, Reini, and Bakanovi volcanoes and the Takuan and Toroka groups of volcanoes: the Taroka group includes Loloru volcano. In addition there are several other post-Miocene volcanoes in northern Bougainville which have not been accurately delineated. Only three of the volcanoes are active or potentially active; these are Bagana, the most active volcano in the Territory of New Guinea, and the dormant Balbi and Loloru volcanoes. The volcanoes are built up of lavas and pyroclastic deposits mostly of andesitic composition, although some dacitic rocks are also present. Modal and chemical analyses show that these rocks belong to the calc-alkaline suite characteristic of orogesic regions. Published with permission of the Director, Bureau of Mineral Resources.